*Watch his winning edit below. 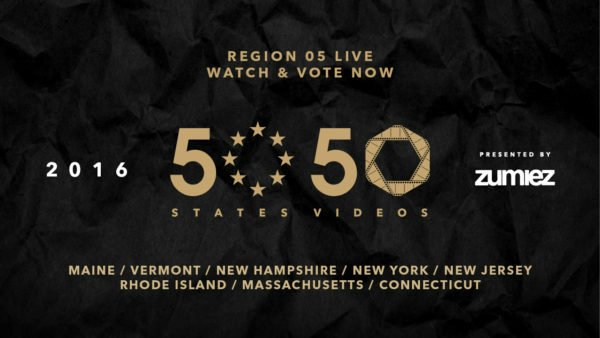 Voting for Region 5 of the Transworld 50/50 has officially begun! Take a look at our winning submissions from Maine, New York, New Jersey, Massachusetts, and Connecticut. right here. There are some heavy entries in this round. Get behind your state or just vote for your favorite edit, the choice is yours! Only one of these dudes will make it to the Final Round and it's strictly up to YOU GUYS to decide. Follow along with everything on social media using #TWS5050 and be sure to cast your vote today! Voting for Region 6 begins next week. Thanks for all the support: Independent Trucks, Zumiez, Bones Wheels, Matix Clothing, Plan B, & DC Shoes!